We know it's challenging enough to help your child grow. That's why we want to make the rest of getting started simple. Whether you're starting with BabyNet or the Department of Disabilities & Special Needs, here are your steps to a great start. This is the network of state agencies that helps families pay for therapies that a child might need. They identify the children that may have special needs and then provide that child with the services that can help them improve. If you have concerns about your child, talk to your doctor. Your doctor can refer you to BabyNet if your child could get help. Often, your physician can tell when your child is experiencing a delay. You can refer your own child to BabyNet. It doesn't have to be a physician referral. So if you're still concerned about your child, don't wait on your doctor. You never need to wait on your physician if you're concerned about your child. BabyNet will come out and do an assessment on your child, to record what delays (if any) the child shows. They may not do this assessment if your child has already received a diagnosis. BabyNet will assess your child. When they come out, BabyNet will determine what delays your child shows. BabyNet will determine if your child is eligible, and then you'll be offered a choice of Special Instruction providers in a booklet. You'll find Ahead Start in this booklet. If you're eligible, you get to choose. 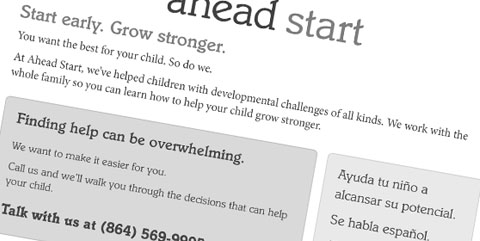 If your child is eligible, BabyNet will give you a booklet with providers, including Ahead Start. You can then choose us, if you believe we're a good fit for you. Call BabyNet again and say you'd like to work with Ahead Start. When you've made your choice, call BabyNet and let them know. BabyNet will email us the referral. Sometimes this can take as long as a week. The Early Interventionist (EI) we've chosen from our team will then contact you within two days—sometimes, even sooner. Then, as soon as we're able, we'll choose an EI from our team to contact you. Your EI will schedule an initial meeting where you can create goals together for your child, and decide what services will be most helpful. Your EI will start working. We will schedule a first meeting with you, and discuss how to get started. Call us at any point when you have questions or concerns. 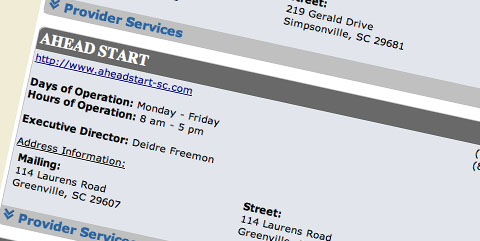 We're available during business hours at (864) 235-3394. This is the agency that covers family training and service coordination. It also identifies whether there are any other programs you or your child qualify for, and covers a person with special needs from birth to death. 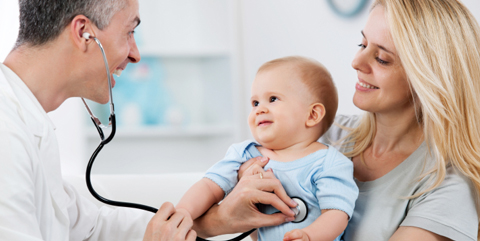 If you have concerns about your child, you can start by talking to your doctor. Your doctor will probably not make the referral, so it will be up to you to move from that point. But be prepared, because it will probably be up to you at that point. You can call Ahead Start at any point, and we'll talk you through the process. We can even help you understand whether your child has delays, and what will happen next. Call us for a walkthrough. We can even help you (over the phone) to understand whether your child has delays. We will give you a toll-free number for DDSN where you will leave a message. Call DDSN and leave a message. Call 1-888-376-4636. This is a toll-free number. Someone from DDSN will call you back. This may take a while, so don't worry if you haven't heard back right away. They will do an over-the-phone screening, and then give you a list of agencies you can work with. Ahead Start will be one of those agencies. When DDSN calls you back, they'll read through a list of agencies. Ahead Start will be on the list. If you ask for more information, they will forward you to their qualified provider list on the DDSN website. You'll find a generic list of providers there, including Ahead Start. Get more info, if you like. You can also see the qualified list of providers on the DDSN website, including Ahead Start. You can choose an agency directly on the phone call, or call back within two days. Tell your choice to DDSN. You can decide on that first phone call with DDSN or within two days. Once you choose Ahead Start, DDSN will contact us with your referral. This can take up to a week. The Early Interventionist (EI) we've chosen from our team will then contact you within two days—sometimes, even sooner. 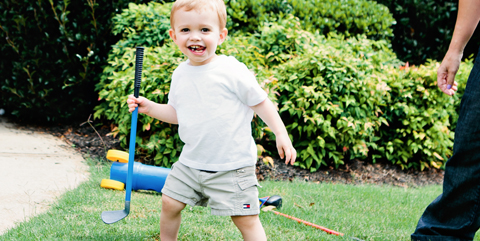 In our first meeting with you, we'll conduct an assessment and determine your child's eligibility. If he is DDSN eligible, we'll then meet again to create goals that we can work on in our weekly visits.